Figaro London is the creative idea of Thomas, an award winning hairdresser who had the vision to open a salon in a world-class city where people from all around the world could see and acknowledge his and his team’s creativity and talent. He set sail and went out to the sea of London – a city filled with vibrancy, culture and history, and opened Figaro London’s flagship salon right in the heart of the buzzing tech city and the financial district: in the middle of the Old Street – Barbican – Angel triangle. We are lucky to have four incredibly talented and ambitious hairdressers on our side: Balazs, Dorothy, Bea and Abby, who all share our vision and passion to take on more and more challenges. Timi, our lovely nail artist, manicurist and pedicurist does an exceptionally thorough and beautiful job – to the joy of our customers who were really keen to have their nails done whilst waiting under the hood. We are so proud to have teamed up with one of London’s most talented and passionate beauty therapists in town, Edith, who is a joy to be around and a lovely-bubbly skin care expert and waxing specialist. Her expertise has won over customers from outside London too. And Timka’s wonderfully artistic make-up skills combined with friendliness, empathy and professionalism are the icing on the cake. We’ve been featured in Marie Claire online, contributed in London Fashion Week and other illustrious fashion photo shoots and filming projects. And most recently, we’ve been nominated for the Official 2019 Top Choice Award and got into the top 5 London salons, competing now to win the award. We’re very excited! This year, our goals include to further educate ourselves in Creative Hairdressing, attend a British hairdressing competition, improve on our communication with customers, provide a wider range of services and opening more towards health related services in salon. Plus, we want our work to be featured in the British press. Watch this space – we will keep you posted on how we are getting on. Get to know The Team, read about our services and keep coming back to visit The Figaro London LookBook, where we regularly upload pictures of our latest works – comes handy when you are looking for a bit of a change of colour or a new style and would like some inspiration. Thanks for visiting and happy browsing! 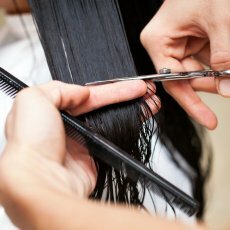 Our hairdressers are experts in cutting all types of hair to the highest professional standard. 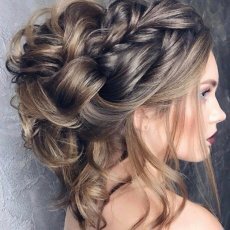 Led by Thomas, our award winning hair stylist, they discuss with you your exact needs and are happy to consult with you any problems/questions you have. All our hairdressers are regularly trained to make sure they know about all the upcoming trends / new products in the market. There is no style a Figaro London hairstylist would not be able to create for you. Come and test our promise! We listen to your needs carefully and take time to assess the condition of your hair and scalp before commencing anything. It is this signature consultation that our clients value and we are really proud of. We want you to be absolutely certain about what is going to happen – no surprises, unless you ask for them, in which case we will ensure you will like the end result! Wash, Cut and Blow Dry – before work, in your lunch time, or before going to a meeting or dinner – using Wella Professional, L’Oreal, Goldwell or American Crew products. We also have paraben and sulphate-free products that we use in case it’s important to you – just ask your hair to be washed and treated using Wella Elements, a professional free from range that we recently discovered and love. When you just need a quick freshening up and a salon blow dry. After gym or between haircuts an ideal choice if you need to look polished and professional. Come and pop in for a quick touch up on your fringe – we promise you will be back in the office on time! Be it a red carpet event, a laid back night out with friends, or a stylish dinner date – we can help you look fabulous. 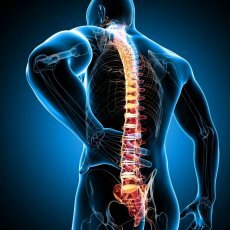 Should you have a style in mind, we are happy to discuss and consult if it works for you indeed, or if you are after some advice, we are there to help and get the best out of you. We know how trend-conscious men have become over the last few decades – and we welcome and love men who know what sort of style they are after. Equally, we are happy to advise you if you are after a bit of a change but don’t know which way to go. A clippers cut will give your hair a sharp, blunt finish. Usually, guys choose this type of haircut who don’t like to be noticed to have been to hairdressers. They just want a quick trim to freshen up, and be ready to go. It is also popular with guys who have slightly bigger ears. We recommend this type of haircut if you want a bit of thinning out it is quick and you are ready to go. Also, we do this to cut around those difficult to reach areas such as behind your ears. Thomas is your go-to professional when it comes to hair tattoo. Come and talk to him about your idea. He will make it come true! Toddlers, kids, teenagers – we love them all! All of our hairdressers know how to make your visit a nice experience for your little ones. We know that a haircut is not as exciting as playing with friends or gadgets, but we have a few tricks up our sleeves to make sure they leave the salon with a smile on their face. Our approach to colouring starts with an assessment of your hair type, the pigmentation of your hair, your scalp condition and a consultation about your experiences so far. We would like to know about your likes and dislikes, and your ideal colour. We will then do our best to achieve a result that suits your look and personality. We use Wella and Goldwell products because we know they deliver the results our customers are after. …is the backbone of Wella and the brand for hair colour worldwide: with an extraordinary variety of nuances, it provides a long-lasting superb gray coverage and colour intensity, easy usage and an absolutely reliable colour result. …is a demi permanent colour that lights up your world through a unique interaction of colour and light. It gives a stunning colour result, an amazing new shine, and is ammonia free! Big thumbs up! 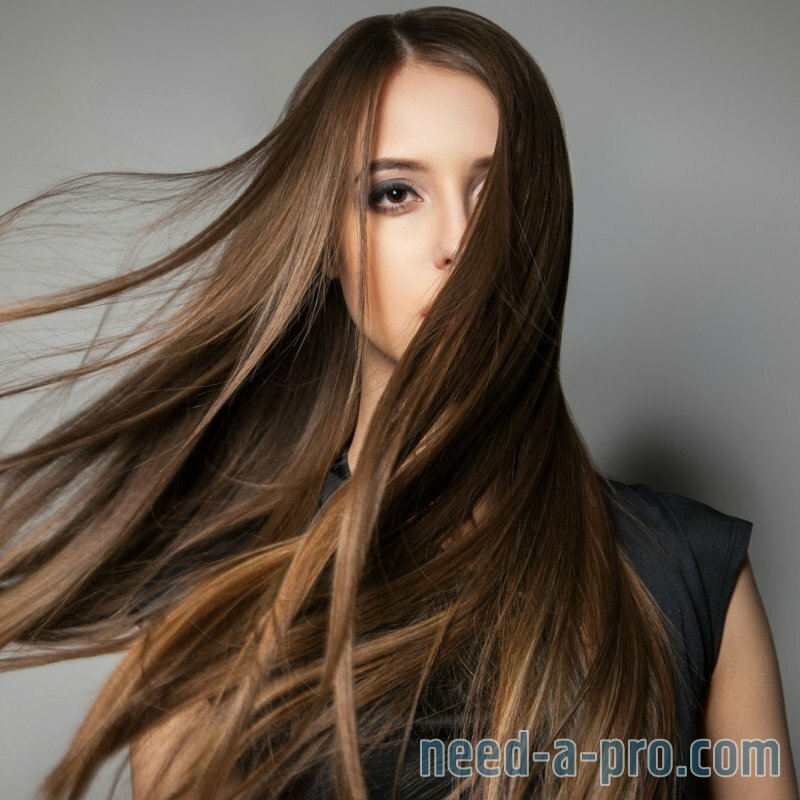 …promises a natural-looking, healthy and luminous hair colour. 31 intermixable shades with infinite possibilities. Be prepared: It will stir your senses and emotions! …is a brand for vibrant permanent color specially formulated to reduce the risk of developing allergy. A unique experience in beauty and well-being. 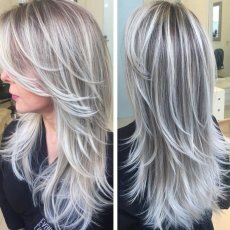 …is an non-oxidative, ammonia-free permanent hair colour that illuminates the hair inside out like never before. It eluminates the hair intensively from inside out to achieve intense, peerless results. We recommend this type of colour for those rather daring ladies who would like to stand out from the crowd. Figaro Special Pampering Package by Thomas. 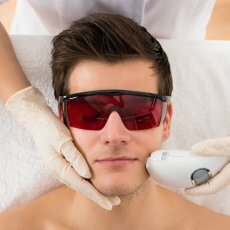 It includes: Wash, Head massage, Scalp refreshing treatment, Haircut, Moustache and Beard trimming / Shaving / Stubble grooming, Wash and Blow Dry, and a final Styling. A proper pampering and grooming experience that is easy to get addicted to. Whether you would like to light up a boring brown with a few blond strips, or you would like an Ombré, Sombré (where highlights are woven throughout the hair without a harsh line of contrast) or in fact any kind of colour touch, we can create it for you. The sun kissed look – the most natural looking highlight style. Blond-on-blond … perfect for the summer. A concentration of highlights at the front of the head to make the colour more impactful. Bleach blond finish at the end of your hair only. Highlighting only the bottom of the hair with fun colours. Light blond strings at the front of the head to make light eyes shine even brighter. Red highlights on top of dark hair. 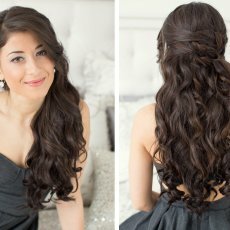 With celebrities sporting many different hair styles and lengths within just days, there are now a lot of different types of hair extensions on the market for you to try out. Whether you are after longer locks, or want more volume, we have the solution for you. 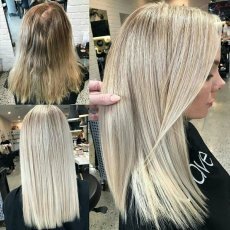 We only work with excellent quality 100% European human hair using the two most popular and not damaging techniques out there, which are Micro Ring Hair Extensions and Pre Bonded Hair Extensions. 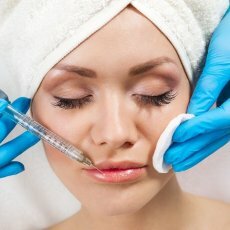 These provide a quality result that looks truly natural. We have samples in the salon which you are welcome to pop in and see anytime. Micro ring hair extensions are the number 1 application technique due to the fact that no glue or heat is required when applying; therefore it is safe and causes no damage to your natural locks. We recommend this if your natural hair is healthy and strong, but you are after longer locks. 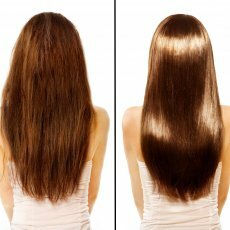 Pre-bonded hair extensions are used as individual extensions and come in many different varieties. We recommend this to ladies who would like a bit more volume. By optimising the structure of the hair, we can create a basis for a more permanent solution to have volume that can hold waves and curls longer. Whether you are after smaller curls or a lighter wavy look, we can achieve it for you with L’Oreal’s perm solutions. Kiss frizzy hair good-bye and win back control. Goldwell’sKerasilk treatment is a formaldehyde free treatment formula that when applied to your hair, reinforces the internal structure and improves the condition of your hair plus provides external protection. The instant result: long-lasting transformation into perfectly smooth and soft hair for up to 3–5 months. 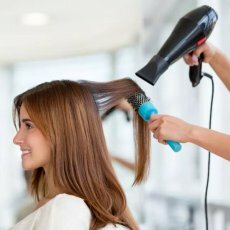 It is not only an excessive usage of heat-styling tools or styling products, our hair and scalp is constantly exposed to the environment. Hormonal changes or a stressful life can also leave their toll both on our locks and scalp. We use the Nioxin hair and scalp treatment range from Wella as it always delivers what it promises. Come and let us treat you!